Google's Nexus 4 Smartphone Gets a Price Drop, Now Starting at $199! 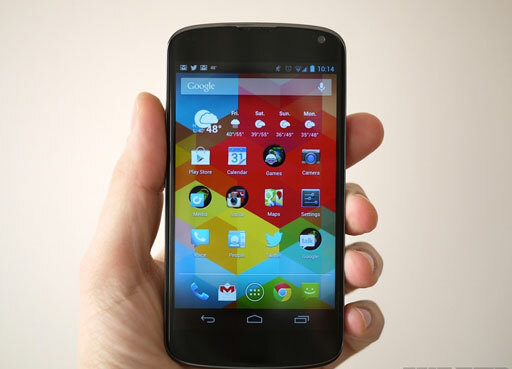 Google has just announced a price drop for their current Android Flagship Smartphone, the Nexus 4. 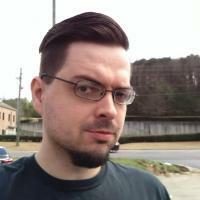 This is great news for anyone looking to upgrade but don't want to deal with the carriers' contracts and other ripoffs. It has been a year since the release of the Nexus 4 so the price drop was expected but happened a lot sooner than when it was thought to have occurred. The Nexus 4 provides a High-End Up-to-Date Android Smartphone at a very reasonable price. The Nexus 4 now starts at $199 for the 8GB model and $249 for the 16GB model. Most high-end smartphones cost $199 or $249 subsidized with a Contract...this means that the phone is not actually that price and the contract forces you to pay more. Most phones are $600-$800 if you buy them without a contract. Nexus 4 is the oddity though because it now costs $199 (8GB) or $249 (16GB) UNsubsidized...this means you buy the phone and you own it immediately. The Nexus 4 works with all GSM based networks including AT&T, T-Mobile, Straight Talk and many more. Yes, I said it is a high-end inexpensive smartphone that works on Straight Talk. Anyone, looking for a fantastic smartphone at a very reasonable price that doesn't want to be tied down to a contract waiting years for upgrades. This is a great choice. It would cost you the same to get a subsidized phone yet with the Nexus 4 you actually own it and can take it to any network you want if your current network isn't satisfactory to you. No more waiting for upgrades and dealing with over priced contracts. You can order the Nexus 4 and connect it to a Straight Talk plan that gives you Unlimited Phone, Unlimited Text and Unlimited* Data all for just $45 a month. (you will have to modify the SIM card for the phone but just reply here if you plan on doing it and I will tell you a very easy way to do it. This phone is not for everyone...for one reason only...if you want the latest and best phone then this phone won't be it. It is also very likely that the price has dropped in preparation of releasing a new version of the phone. Whether that be Nexus 5 of Nexus 4.2, no one knows but it is very likely that something like that will happen in the next couple of months. So if you are the type of person who wants the best possible phone available at the best possible price then you could wait for the next version. You will of course be paying more for the next version but it is likely to be $299 for 8GB & $350 for 16GB models. This current phone is an outstanding phone and is perfect for 90% of people in the market for a new smartphone. I would suggest anyone interested in upgrading to seriously consider this current offer for their next phone. However, if you want the latest and greatest and are willing to pay more for that then if you wait a few months you will probably see a new version for just those kinds of people. Are you going to get the current gen Nexus 4 at this great price? Or are you going to wait for the next version?